To make trading easier, we have several pick up and drop off points. 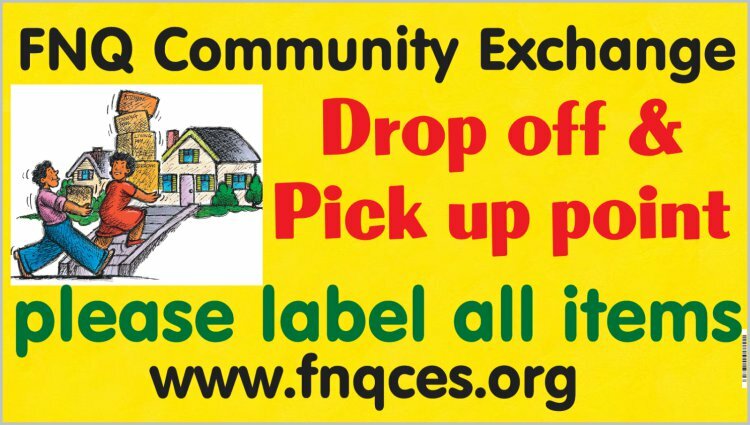 They are provided by very generous FNQ Community Exchange Users. Therefore use areas with respect and check if you need to make an appointment for goods to drop off or pick up. Transport Slips are provided or can be downloaded here. Please contact admin if you like to be a drop off point and have a central location. Please drop off and collect items in a respectful manner. Please arrange with the person who is to collect items before dropping anything off. Don’t presume that the drop off point will arrange contact, collection or delivery for your paperwork or trading items.